I went for the 2014 tile. I always find city tiles more interesting than roads, and like this one! 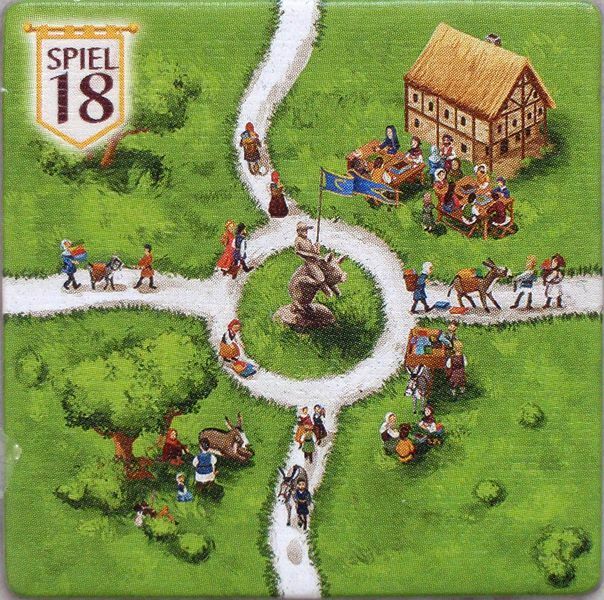 In the 2016 tile, a bystander has caught the attention of the knight on the left. I can't tell for sure, but I believe the child is giving the thumbs down. This could be her saying that the knight should kill the other knight, the duel isn't very exciting, or that the new art is absolutely terrible. In 2017, this matter is settled as the little girl is making the same gesture. It is doubtful that the little girl hates airborne donkeys AND duels, so we now can assume she dislikes the new art. In 2018, the little girl has moved on to other games. Also, of note the man in the orange cloak with the black belt appears in every tile with the exception of the 2016 tiles. There are multiple other people that appear in multiple tiles, but he and the girl stick out the most. I think your eye sight is failing dirk! It's a thumbs up! orange cloak dude with black belt appears in 16, top centre, same art as 15 top left! I think I was confused because there is a gold colored cloak with belt guy and an orange cloak with belt guy. They must shop at the same cloth stand in Traders and Builders. 15 and 18 are a bit the same (roads). 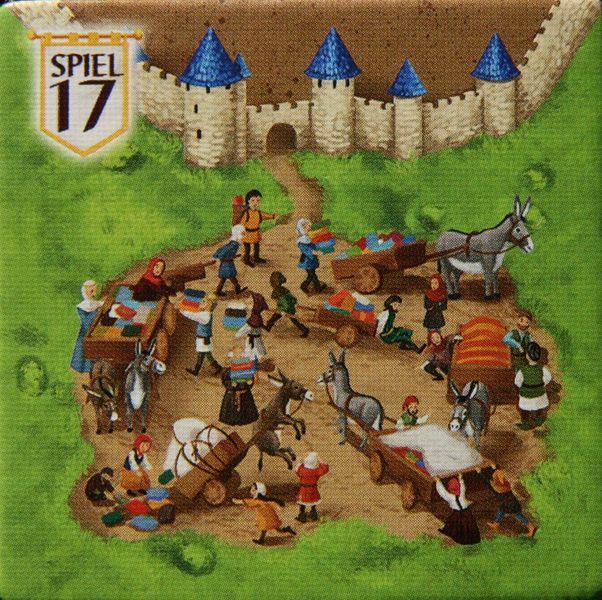 I like the 17 tile the most, due to the trouble in front of the gate. 14 is for me to crowded and busy. 16 is the one which is by far the most different one. Thanks for that rundown of the individual tiles Decar! I liked the humorous descriptions of whats depicted on each tile too! I chose the 2016 tile as I love a good scrap. Especially one that's in the middle of a city tile. 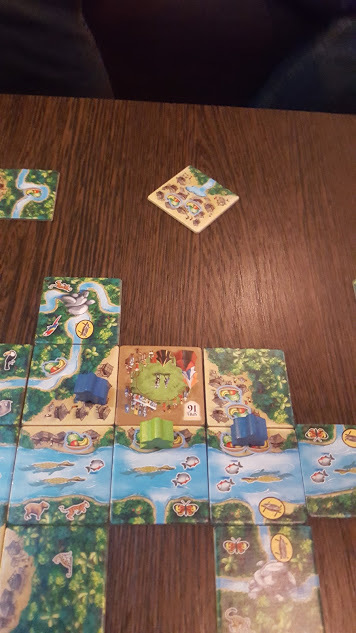 I also like that I slightly cheatingly used this tile to win (possibly) a game of Amazonas against Decar while we were in Essen in 2016. Second favourite is the 2014 tile as I like the busyness and all the different colours. I add all five into games when I can. No particular favourite though. I realise now i didn't write up this year's trip. Maybe I'll get chance to jot down a few memories! 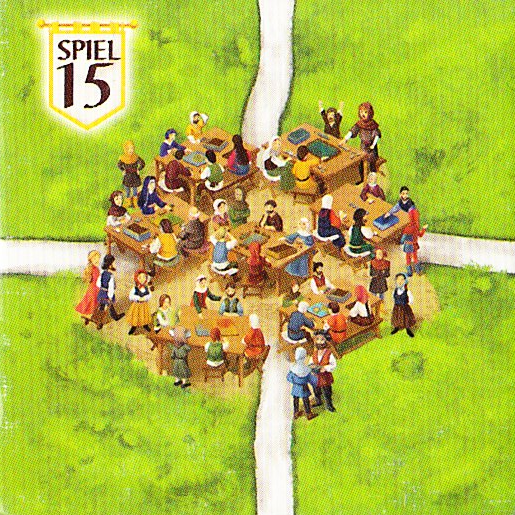 Ideally it's between Spiel'16 or '18 for their more normal art / less jokey art. I haven't played with my '17 tile yet, I don't believe I played the base version since I got it. I need to get some serious funds to buy the rest. 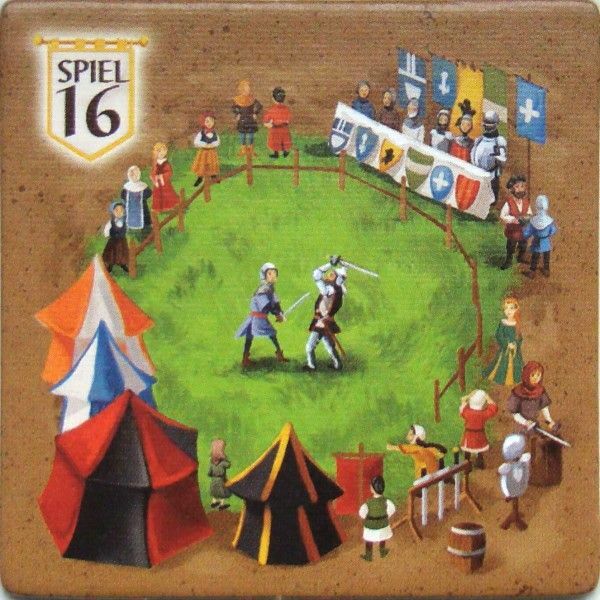 I prefer the 15 Spiel tile because it fits pretty well with the old style. The rest doesn't work with my old art collection. Great conversation topic. 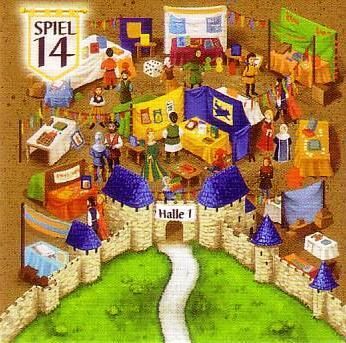 For me, it has to be the 2014 tile since it was the first and actually depicts a gaming convention such as Essen, so it is the perfect giveaway for the event. It’s also the only one I was able to get so I’m a bit partial in that regard. I do like the uniqueness of the 2016 tile too, and like how the 2015 tile could blend in with my Carc I style. The poll will be running for 2 more days and it's neck and neck! After 25 votes the results are in. Pole positions go to The Duel and the Piggy Roundabout. All these tiles are wonderful, long may they continue to be printed! I'll keep the poll open, so feel free to continue voting, but consider this favourtism poll closed. 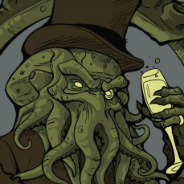 Thanks for voting.